The US, despite its announced withdrawal from the Paris Agreement, continues to lead the developed countries in directing the talks towards outcomes that hugely favour their economic, business and political interests. As has now come to be expected of the UN climate conferences, they never end on the day originally intended. Several hours of delays are common as countries wrangle over the details of the final statements that would be accepted formally in plenary sessions. However, uncertainty in the final details notwithstanding, the penultimate drafts unmistakably show what the final form of the statements are likely to be and their general import becomes quite evident. The last hours of COP24 (informal name for the 24th Conference of Parties to the United Nations Framework Convention on Climate Change) are no different, except there is much greater significance to the current one than the usual run of such meetings in other years. Ostensibly, the major expected outcome is the determination of the modalities, rules and procedures of implementing the Paris Agreement, the drafting of the so-called “Paris Rulebook,” and indeed, in a sense, that is what is more or less set to emerge, barring perhaps some details postponed to the next year. 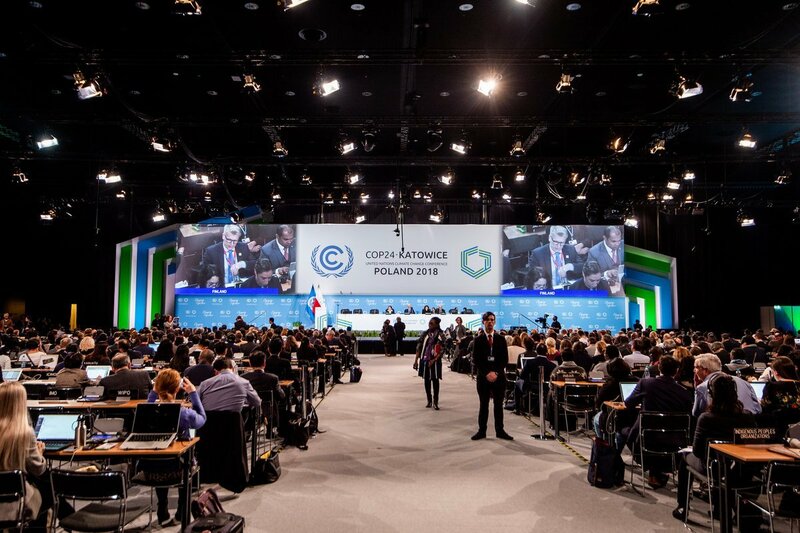 But the true significance of the final decision (in draft form) put out by the Polish Presidency of COP24 is that it marks an endgame by the developed countries to fashion a global climate regime closely aligned to their interests. The United States, despite its announced withdrawal from the Paris Agreement, continues to lead the developed countries in directing the negotiations towards outcomes that hugely favour their economic, business and political interests. This global climate regime does not have urgent climate action as a priority. Despite the lip service to the IPCC Special Report on Global warming at 1.5 degree C, there are no new ambitious mitigation targets, even when the NDCs amount to at least 3 deg. C warming. There is no substantial new commitment on finance, except urging the private financial sector to regard climate mitigation and adaptation as new opportunities. Little progress is visible in dealing with finance for loss and damage, a negotiations track inaugurated with much fanfare five years ago at Warsaw even before the Paris Agreement. The cornerstone of this global climate regime is a complex set of rules on the reporting, monitoring and evaluation of the greenhouse gas emission efforts of all countries, blurring substantially any distinction between countries at different levels of development. Alongside these are similar wide ranging, detailed rules for reporting on a number of other aspects including adaptation, technology and finance. The creation of this overweening global climate bureaucratic effort, widely referred to as the Paris Rulebook, is in many ways simply a smokescreen to hide the climate inaction of those most responsible for the state of the climate today. But it is also designed to provide a global set of data and information and evaluation procedures that will enable big business and big finance to invest in climate-related sectors. The “Katowice texts”, as the final decision is to be referred to, are meant to make climate a relatively safe arena for profiteering on global and regional scales, removing at least some of the uncertainties for business associated with country-level regulatory measures. These rules are meant to be implemented with unwarranted urgency, even by countries that currently lack the scientific, technical and financial capacity to abide by these requirements. These are to be reported and evaluated with increasing stringency. On the other side, developed country commitments on areas outside mitigation carry no similar urgency or stringency. Tellingly, even for developing countries, “flexibility” in GHG (greenhouse gas) inventory allowed applies only below the threshold of 0.1% of a country’s emissions. In effect, all countries have to account for 99.9% of their emissions. However, there is no such requirement on the developed countries to provide data of such accuracy on their financial commitments. The stringency in emissions reporting appears ridiculous when the uncertainties inherent in climate science are far more substantial. But even more ridiculous is this insistence on accuracy in a world set for 3 deg. C warming! Even if these countries would successfully use the “flexibility” provided, technical assessments would continually urge them on to “improve” themselves. These reports, due every two years, have other requirements that appear to be merely wide-ranging fishing expeditions for data and information. Even if LDC and SDC countries have been given exemptions on such reporting, it is of little use since in the absence of finance they would be at the mercy of the worst impacts of global warming. At the heart of the game is the attempt to ensure that the world, in climate as in trade, would remain an unequal one. Unsurprisingly, the US and those hiding behind it, make the dropping of any reference to equity and differentiation the focus of their efforts in pushing the “Katowice texts” to their final form. The outcomes that the world faces today at Katowice, could, one may argue, have been predicted at the time of the Paris Agreement. Its architecture that favoured process over content, reporting and “transparency” over assessing the depth of mitigation, all marked by the blatant attempt to sideline differentiation, is clearly what is responsible for the current state of play at Katowice. Enticed by the promise of a 1.5 deg. C warming goal, the most vulnerable nations ignored the weaknesses of the NDCs. Again this goal diverted attention from the firm refusal to accept any responsibility for compensation or liability for loss and damage in the Paris decision that accompanied the Agreement. Even if the Katowice texts undergo major modification before acceptance one may be sure that the developed countries will continue to pursue this strategy further. Without making climate the centrepiece of a comprehensive reworking of the vision of global environmental governance, it seems difficult to predict a break from this trend in the future. Is Gender-Just Climate Action Possible Without Equity?